So the weather is getting better, my mornings are getting brighter and spring/summer is officially here! 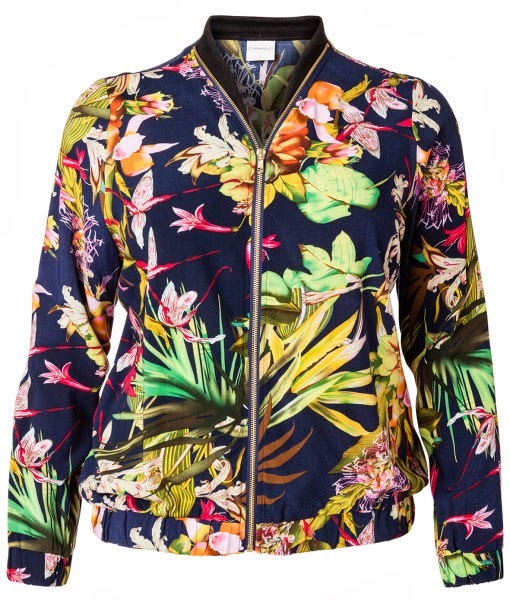 In celebration of this I will be sharing with you my top picks of the latest tropical print clothing out in the plus size market. First up are these gorgeous trousers I bought at British Plus Size Fashion Weekend on the MS.SVG stall. 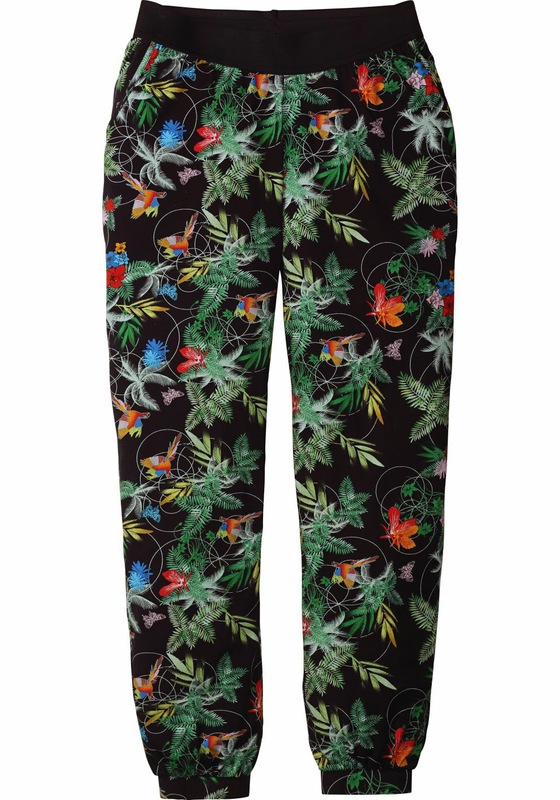 The print is beautiful, the trousers fit marvelously and are 100% Viscose for ultimate comfort. I would team them with a black vest top and flip flops for a perfect holiday look. You can also purchase the matching bomber jacket in the same print, either to wear together or maybe to jazz up a plain black skater dress. Next up is this lovely Anna Scholz designed dress for Simply Be, the acid fluro colours are so eye catching and if you look closely the print is made up entirely of leaves. Due to the modest length you could wear it during the day with bare legs and sandals for a laid back look or at night you can transform it with a pair of heels and complimenting jewellery. 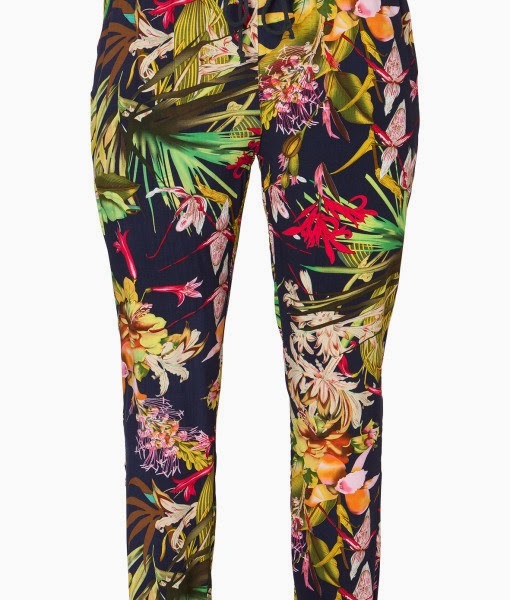 Then there are these fabulous harem trousers which I got to see at the Curvissa event and are part of their SS14 collection. I think these are really wearable for an everyday look and Beka rocked them with a gorgeous coral jacket which complimented the colours of the butterflies. Lastly we have this bargain, currently on a half price deal, from Vida Moda. The colours are very light, floral and girly and almost watercolour like in appearance. 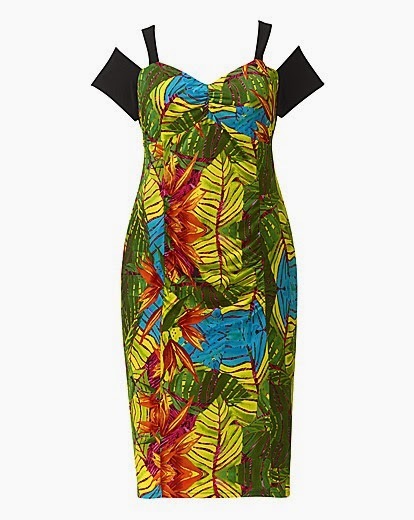 The dress is made of viscose so has plenty of stretch meaning you can size down and wear as body con or have looser depending on how you want to wear it. I absolutely love it and it's a total snip at the price! You could wear with flats or heels and add a cardigan if you feel nervous about exposing your arms. 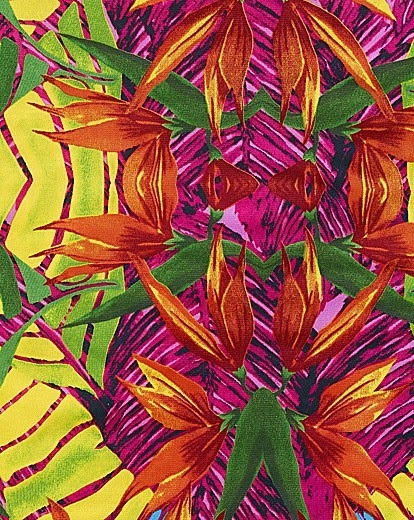 What do you guys think of the tropical prints out at the moment? Will you be rocking them this summer? Leave any links to things you have bought in the comments so I can stalk them!